Discussion in 'GMC Jam' started by Alice, May 26, 2017. 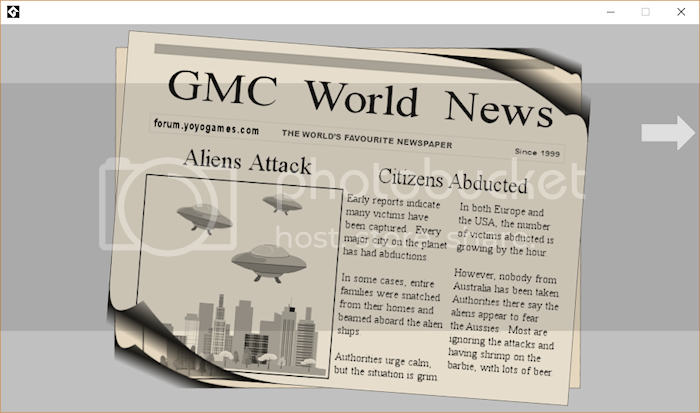 Welcome to the GMC Jam #4 Games Topic! Remember, as everywhere else, general Community Guidelines apply. To make things easier for both participants and Jam host, guidelines about entry post and file structure has been prepared. It's not mandatory to follow, but it's recommended, as it keeps things organised and makes wrapping up entries easier. the download link, clearly labeled as "DOWNLOAD"
if there's some additional information you need the voter to know after they play the game, but before they vote, you might make an AFTERWORD file (also recognized by Jam Player); there you might mention cheat codes, explain the use of theme if it's not obvious or revealed at the late point in the game etc. if you still have some time, playtest the game and send it to your little dog, too; there are few things ruining the experience more effectively than crashes! Once again, following these guidelines is not obligatory, but it'll be appreciated. FunkyB, The M, Barvix and 1 other person like this. I got about 4-5 hours of work done on the project in the first day, then I had to go back to studies. The second day I finished it around 2 AM, with another 9 hours of work. FunkyB, Alice, Vonnbit and 3 others like this. Makin' a game with wind. I think I found my velocity equation, too. Morne, Alice, Nallebeorn and 2 others like this. It's begun! I don't have a great idea but I have one that I think will work with the theme and will be fun enough. I need to study a lot this weekend so I really shouldn't spend all my time jamming but we'll see how it goes. My goal is to make a simple game and add tons of polish to it. That'll give me some leeway in case I run out of time. 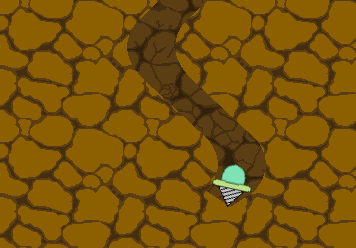 I've been tweaking the movement system and the mining shaft graphics to better align with the player. I don't like how you tilt so quickly when you turn but I'm not sure how to best solve that. These posts are just gonna be a bunch of pictures of dirt, aren't they? I'm trying to make mining look better, I'm not there yet but it's a start. 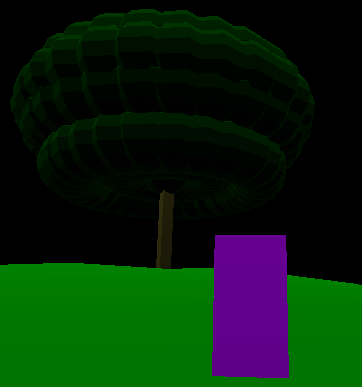 The shaft is made using surfaces and polygons to cut out holes in the foreground where the player has passed, showing the background layer behind. I've added gold ore that you can mine (though there is no reward for doing so yet). I need to do something about the background behind the mined gold as I want you to see that there has been something there. It's time to go to bed. I'll spare you a picture but I've got rocks now and they're annoying to mine through, which I hope is a good thing. Tomorrow I'll add fuel and heat; two systems that will determine how far you can get before stopping (or exploding). Didn't get much sleep as a random phone call from Somalia woke me up in the middle of the night (things like this is why you should keep your phone muted). I have some things I need to take care of today but I'll make sure to get some proper work in on the jam game too! After 24 hours you can finally lose the game. Nothing really happens when you do but at least the effects are cool. 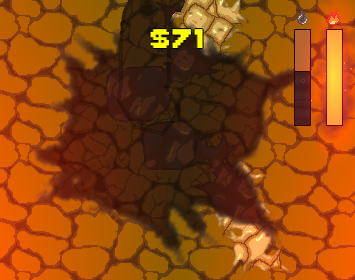 I've added tons of screen shake, more mining particles and made tons of tweaks. Also, there's the fuel and heat meters up in the corner. (I'll talk more about how they work later when they're fully implemented). So I made a compromise and did half an exam before going back to the game and implementing a fancier score font. Onward to fuel barrels! I added a menu screen and an intro when you start the game. It's pretty neat but if I had more time, I'd try to improve it a little (there is something that's just a little bit off with the drop animation but I'm not a good enough animator to immediately tell what). 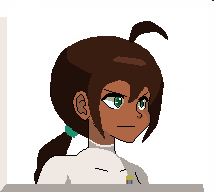 I suppose now's as good a time as any to actually draw the player character and fix that placeholder. Considering that pretty much all of my art is final when I first draw it (with minor tweaks of course), it's funny that the player sprite got to wait until halfway through the jam. There's one more thing that needs to be implemented (aside from any form of progression) before this game is complete, namely a way to restart once you die. I've been working on a highscore table and result tallying (you get score for mined gold and for depth reached) and it just about works. Of course, the highscore table happily ignores your score but is full of default generated placements. I'll fix the rest of it tomorrow, add sound effects and music and maybe even online highscore if I can get that to work. Good night! Highscore finally works, albeit local only. I'm torn about what I should do next but think I'll make some adjustments to the game's progression. Currently the game doesn't change which isn't very interesting. I'll see what can be done about that. 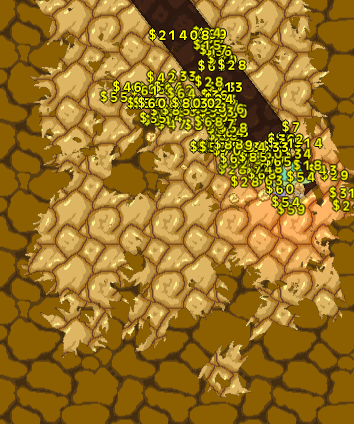 I've adjusted and readjusted how gold and rocks spawn over a dozen times. I think I'll let it stay the way it is now for the time being. My to three priorities now are: sound/music, online highscore and a speed boost item. The last one is a bit odd compared to the rest but I think it'd be just what I need to change up the gameplay. Turns out a speed boost item completely ruins all balancing and is a nightmare to make good looking, but in it goes into the game anyways. Now for online highscore! The highs are online and ready to be scored! Only sound and music left now, and then some extra polish. Just for fun I tried to change resolution from my original smartphone port friendly narrow 360 by 640 to 1080 by 720. Surprisingly, it works rather well, but with all the new space the game gets unbalanced. Menu doesn't like the new size either so I'll keep my old layout. Oh,well. It's not a jam unless something screws you over at least once. After a lot of struggle (you know there's a reason why I always end up adding the sound effects last ) I feel satisfied with the audio. I have two more things I want to add: a controls display in the menu and gems to mine. Actually, make that three things because a pause button would be nice too (I better write that up somewhere...)! I think there'll be plenty of time for that tomorrow, now I really have to go to bed. I need to study too, as I've kind of put that aside today. Ah, well. There's only twelve hours left of the jam, I can study afterwards! I usually set my alarm clock a few hours earlier for the last jam day but this time I feel rather confident that I can fix the last few things within a reasonable time frame. We'll see if that cockiness ends up backfiring on me. Controls are displaying and gems are geming (or whatever gems do). The game is fun and there's plenty of time for a pause button, maybe even for a transition to the title screen after the game is over. Yay! You can pause the game with Escape, unless you're in the menu in which case you quit the game, or if you've paused already in which case you suicide, or if you're waiting for the score tally screen to pop up, or if you wait for it to be done or if it is done... *phew* There're a lot of cases to consider for this. I've added a download link (I don't want to take any chances here ). I'll see if I can squeeze in one last feature before deadline. OK, I'll let that be enough! I managed to add a neat little animation for when you return to the title screen. After trying out dozen variations of parallel bars, I just went with a big flat transition. And with that, I'm done! At first I was afraid the game wouldn't be deep enough (pun intended) to be fun to play but I have to say I'm happy with the result. I think these are some of my best visual effects, especially the drilling and the heat gauge. FunkyB, Aviox, Alice and 6 others like this. - (8:01AM) Jam began and I started passing my script collection to the project folder. The game will be a small 3D (sort of) open world. Got Alice helping out although we are busy today on other stuff. - (12:20AM) After a long struggle of programming, I established a camera, practical player movements, and terrain build up. Now time to improve the proportions. Will show pic later. - (1:50PM) Found the right proportion for the world size including the characters size and speed. Unfortunately, the new proportion affects the z height transition, causing to look choppy. Therefore, I decided to work on a script to make it smoother, hoping to keep the proportions I added. - (2:37PM) Did something atleast with the z height but its not the best result. Going to work on the enemy ai now. - (3:19PM) Still working on the AI. Also applying the basic gravity along with collisions. - (4:11PM) I CANT GET MY MONKEY TO JUMP!!! - (7:36PM) I have this song in repeat for too long somebody STOP ME!!! - (9:15PM) I finally finish the damn AI! That monkey just kept bringing problems. It should work in "somewhat" way that I can deal with. Need to get back on track now. - (7:10AM) Getting ready to work on the entry. Gonna focus on art work and design. -(9:17AM) Fixing lighting effect to mkae it more appealing. - (1:40PM) Things arent going so well. Apparently modelling for this game has become a terrible hassle. Luckily, I came up with a bright idea but it will cost me time to do so but once I get it done, making models will be quicker and a breeze. Im going to make a special script that creates cyilinder stacks for recreating meshes in bizarre customize formations. Hope to get something done before tomorrow. - (3:00PM) YES! I manage to make my special script that will allow me to quickly make complicated meshes within GMS! Although the arguments required are a bit unorganized and confusing but its much faster to make something that takes an entire day to make. Im currently working on my main character now! - (7:17PM) Alice got the dialogue system working. Probably start adding story tomorrow although I have lot of artwork to do. Still working on main character animation. - (8:18PM) Made the animation for the character (when walking). Im missing the one when attack. should work on it. - (10:55PM) Its very late and I finally manage to finish my characters models and animation (except its missing his little weapon. But the game is looking good so far but lot of work for tomorrow. Till then peace out. - (8:04AM) Fixing the shader system before continuing to model. Things are starting to look good so far. - (8:22AM) Sort of fixed the shading although I can work with it later. 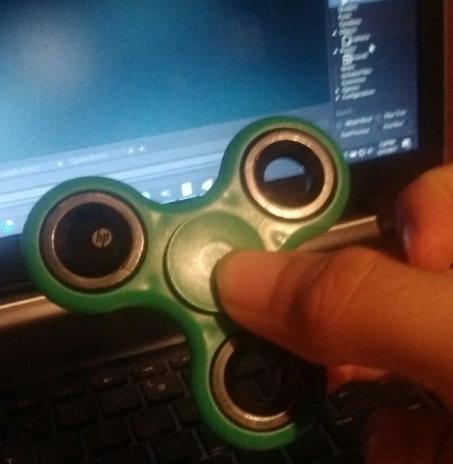 Now I am currently making the monkey model! - (9:00AM) WHY CANT I STOP LISTENING TO THIS?!?!?! 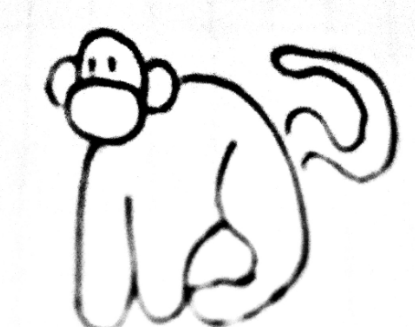 - (10:10AM) Made the monkey! I even added atleast one tiny animation that is hard to notice but its to make it lively atleast. Time to do the boat! - (10:34AM) I had to make a new script (similar to the special script I used to make the model) but for the boat model since its not curvy and has skewed edges. - (1:03PM) Im STILL working on that boat!!! - (1:53PM) I rage quitted on the boat. It may be incomplete but its still a boat. Just need to build the travelling mechanics. - (4:19PM) Spent most of my hours creating 3 new islands, apply a spawning system for one of them and decorated lot of stuff. Things are looking good so far. - (8:00PM) Alice got my mouse check fixed and gave some ideas for the dungeon. I Added sailing mechanics and clouds to make the sky perty :3 Still need to do that dungeon but first, I must fix the collisions that arent working. - (9:24PM) Finally fixed the collision system although its not the best but with little time left, I need to take action. 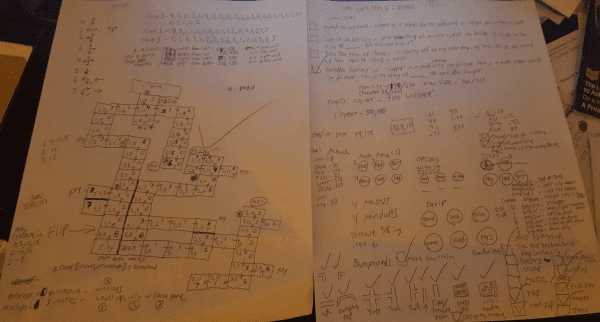 Time to polish the navigation system to then finally make the story and dungeons. - (1AM) Yeah the game broke completely and I couldnt fix it. It seems buffers arent reading things properly in GMS1.4. After several hours attempting to fix it, it led to more complications so I decided to leave it as it is; an incomplete demo. I tried my best but I blew it. Anyway, I submitted the entry. @Alice: Which way is that ship moving? 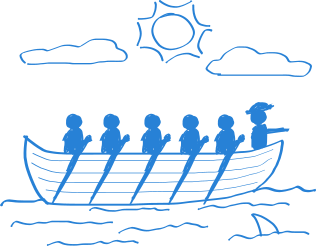 The oarsmen appear to be rowing to the left, while the captain is pointing to the right. Day 1: thinking I'll try a platformer-adventure game this time. This theme calls for it. The game is about recovering your girlfriend (or what's left of her) after she was abducted by aliens. 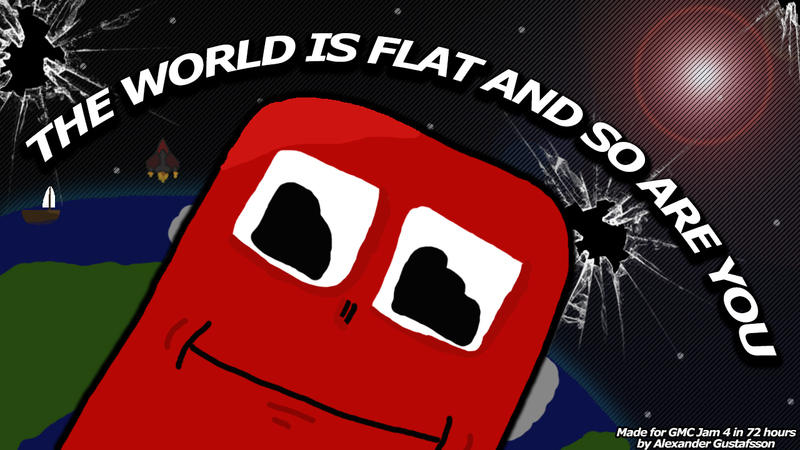 Rather short... it's a combination of a "visual novel", and a platform game. But the two main levels are fairly large. And rather difficult. 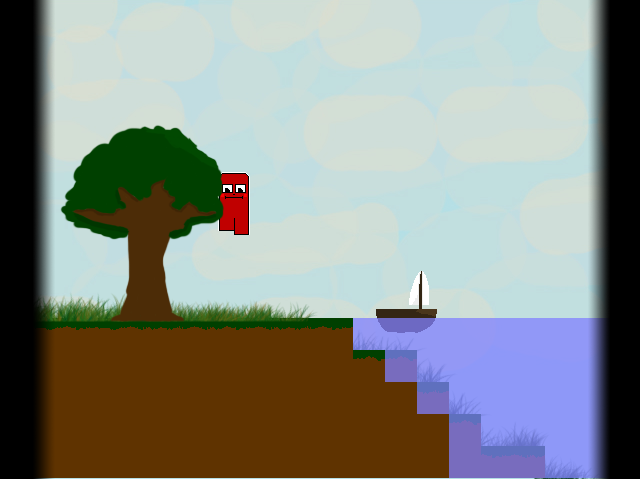 It's my first attempt at making a traditional platformer game without box2D physics. This is just GML. I also bought AnimeStudio a while back... still making fairly generic-looking characters. As mentioned in the game's credits, all the code, animations and effects are created for this Jam. I also used part of a tileset provided by pzUH on OpenGameArt. FunkyB, Vonnbit, Alice and 2 others like this. I hope the story is enough to make you feel something! Here you will find a 120x120 pixel thumbnail, a readme and the game. +Created a Character Portrait for the Protagonist. -I've composed some music for the game, expect real distorted guitars this time! -Movement system (Mostly) working, is based on Zack Bell's Platform Tutorials. 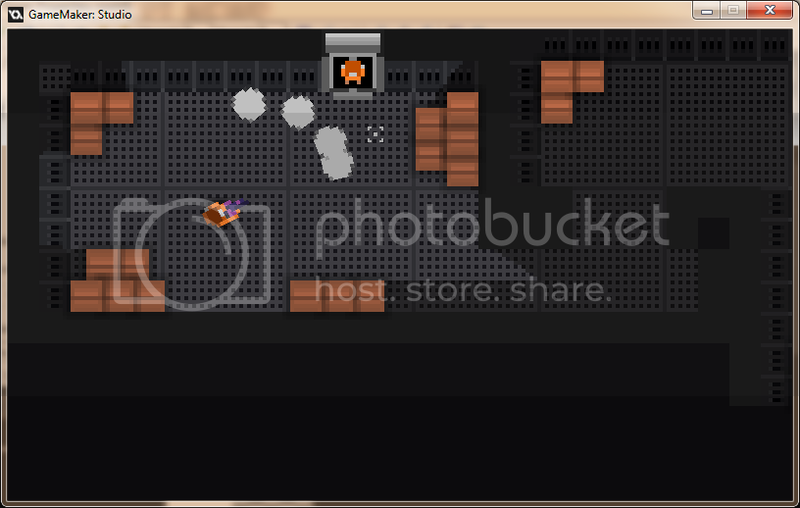 -You can now lock the direction of your shooting via a certain key. -Some more effects in the game I guess. -Basically rushed together one stage, 3 enemies, and a "Boss" I guess. -No sound effects but there is music. -It's pretty much ready to go I guess, added a download link to the game. -Hopefully the audio isn't too loud or too quiet! FunkyB, Alice, The M and 2 others like this. DA GOLDEN VOYAGE OF SMILEYCOG!!! DOH! I MAED A DIFFERENT GAEM IN DA END! Alice, johnwo, Nallebeorn and 3 others like this. But don't ignore your crew, they get real loud when there's an emergency, and they drain your ship's order fast! [05:52] Finished the ship sprite! [09:45] Finished the game mockup! [18:34] Hadn't been able to finish much today, but at least the game is (mostly) complete! [21:51] Blergh, I really am bad with these things. I'm done! FunkyB, Alice, aamatniekss and 4 others like this. I've got a bad hangover. I'll most likely work *a tiny bit* on the game, but I'll have to wing it on Sunday. I do not think that I have time to make the game I want to make. Time to brew some coffee and wing it, albeit I think I'll end up with something else than what I wanted in the first place. I "finished", if you can call it that. I present to you my 14h bug riddled mess! Alice, squarebit, aamatniekss and 5 others like this. A story about waking up in a world not your own. 9:32 AM EST - Breaking to get in a smoke. 9:45 AM EST - Back to Work. 11:59 AM EST - Finishing up the first zone. First ever scripted event so that's pretty cool. 12:19 PM EST - Brainstorming led to a stupid but funny idea. Should be easy to implement but I'm going to wait until I get the game finished to make sure I have enough time to put it in. 12:39 PM EST - Finished first area. Did minor art tweaks for second area now working on setting up story and building second area. 1:13 PM EST - Minor problem with the IDE caused me to delete a few objects by accident. Was able to pull an older copy from a back-up so it wasn't a huge set back. 1:20 PM EST - Second scripted event is somewhat working. Working on Dev debug tool to try and test a bit quicker. Story is set for the second area. 1:57 PM EST - Second area is finished. Moving onto the third area. Going to build it first and then work on the third area's story. About a quarter to a third of the way through of what is currently planned. 2:43 PM EST - Play testing and working on Jam post. 3:07 PM EST - Working on script for the third area. 3:39 PM EST - Finished the story for the third area but it introduced a bunch of bugs. So bug fixing. Lots of bug fixing. 4:47 PM EST - Most artwork done. Working on building the 4th area now. 5:28 PM EST - Build finished. Story building time but it may be slow going since it requires a large scripted event that I'm not sure how best to code. 5:47 PM EST - Had to kill a spider for my wife. She's arachnophobic so I also had to make fun of her and freak her out. Darn wife making me waste time with 'real life'! 6:17 PM EST - Area four's story is taking longer than I expected. It's about halfway done. Should have expected this since it is where the game begins to branch. 6:37 PM EST - Area four's story finished. It's going to require a bit more artwork than originally thought and some tricks with scripting to finish up though. 7:37 PM EST - Area four's should be completely finished. This took the longest out of any other area so far. Needed to do even more artwork for an effect and that took a good 20 minutes itself. Play testing time. 8:57 PM EST - Still bug fixing. Should have been doing it as I went. Gonna be a while until I can move onto area five. 9:39 PM EST - Finished Bug fixes. 10:26 PM EST - Getting back to work. Area FIVE!! 10:59 PM EST - Third Party Play testing a la my mom! 11:58 PM EST - Area five is built. Going to take a break now as I've been working for the majority of 15 hours. 12:42 AM EST - Back to work, time to code some actions. 1:04 AM EST - Starting to crash. Be back in a few hours to get back to work. 9:56 AM EST - Finally back to where I was last night. Scripting some more choices for the player to make in room 5 now. 10:37 AM EST - Figured out a way to skip most of the game for testing purposes. This should make testing the later levels and bug fixing much quicker. 10:45 AM EST - The first section of area five is finished. Now I need to split it into two different sub areas based on player's choices. 11:21 AM EST - First part of the area five split is finished. It was actually the smaller one as it leads into a game over. 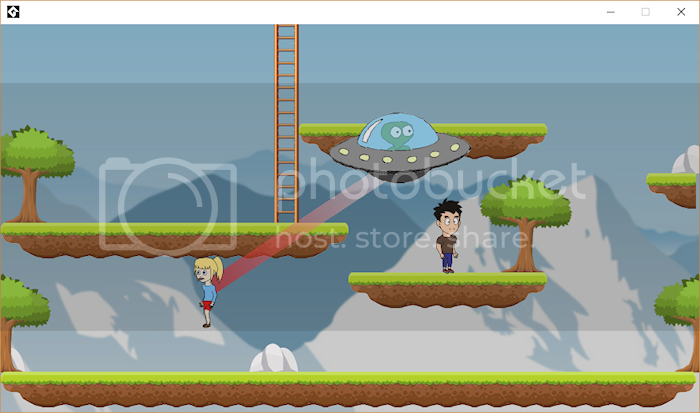 Need to slightly modify some code for it but the game over room should be easy to build and code. 12:12 PM EST - Took longer than I expected it to. But it's done and all of the future game over rooms should be easy to code. Now working on the second half of the area five split. 12:37 PM EST - Area five is totally completed now. The second section was much easier to code. Work now begins on the sixth area. 2:55 PM EST - Forgot to update this when I got to area six's scripting. That's finished as well as the story. Ran into quite a few problems with it and had to slightly rework how I was doing things. Kept breaking the game and couldn't figure out why or how so I decided to stop fighting with it and work around it. Time to get on the the seventh area. Which will probably take a good bit of time. 3:49 PM EST - Finished building the seventh area. Working on the scripting now as the code for this one is gonna be finicky. 4:46 PM EST - This is going really slowly... Seventh area's scripting is done just need to write the story now. 5:27 PM EST - Back to work on Area Seven's story. 8:11 PM EST - Can't focus. Gonna take a quick nap. 9:20 PM EST - Nap over time to get back to it. 10:00 PM EST - The vast majority of the first conversation in the seventh area is finally finished. It was incredibly text heavy already and the divergence in the story made it twice as long. Now to work on the rest of the story. 11:47 PM EST - Got the seventh area's story finished. Started on the eighth area. Really proud of the start that I built, coded, and wrote the story for. Now I should begin building the rest of the area. 12:35 AM EST - Eighth area finished. Finally starting the wrap up. 2:48 AM EST - Title screen is finished along with all the needed buttons. Time to begin work on the audio engine. 3:33 AM EST - Audio engine is functioning. Now I just need to find some music for it to play. 3:58 AM EST - Got a bunch of music and got it shoved into the audio engine. Pause menu will be next when I finally get around to it. Though I think now it's time to wrap up for the night and get some rest. 11:38 AM EST - Releasing an early access version that is not entirely polished just in case I don't get a polished version up before the end. 12:14 PM EST - Pause menu is somewhat build having a weird small issue with it but it's totally functional. I might go back to it if I have the time. Gonna do some quick play testing. 12:43 PM EST - Play testing revealed a bug that causes a fatal error. Replacing the download file now. Dev Log Below - With Screenshots. 12:00 Started thinking of ideas of what I can do, made a few sketches. reusing some code and ideas from that. 14:30 Still looking for sprites and ideas for gameplay. Have a little mockup of a few objects doing things. 15:00 Sourced some suitable graphics and some sound effects. 15:15 Got something that with a bit of work, may turn into a game. 15:45 Got some objects set up, a few audio and graphical effects. Player movement and controls done for now. Thinking what to do to actually make this a game. Taking a 15 minute break. Got a basic engine going now, time to try out some level designs. Got an enemy jellyfish and crates to avoid. be avoided. Working on a small level to test a few things out. Added a goal to game to collect gem stones. Updated and adapted HUD (borrowed from previous project). 16:45 Way too hot where I am, taking another break! more playable. Looking for appropriate sprites to accomplish this. Couldn't find appropiate sprite, thinking of other things I could do. Kept looking, found somerthing on graphic-buffet.com. 17:00 Tweaked a few things graphically. 17:15 Sourced some more graphics. Got some basic movement of new objects. Looking good so far, things starting to fall in place. Need to think up other objects for player to avoid. 17:30 Taking a small break. Thinking about how to make this fun to play. Need to decide if separate rooms or one big one. Decided on a single game room, broken into sections. Sections get harder as the game progresses. Respawn point after each section, so if player dies they start there. 17:45 Trying out some small sections of level design. Tweaking object movement for consistency and making section completable. Basic game audio done: effects and bg music. Thinking up ideas for eye-candy and visual effects. Still too hot where I am. Taking a break to enjoy a cold fruit drink! 18:00 Tweaked name entry screen. 18:15 Need to think up name for this game. Trying out some path variations for the jellyfish. Got several jelly fish following the same path intermitently. Refining jelly fish movement. Happy with movement. 18:30 Thinking time. What else can I add? Added animated background of water. Did a backup of work so far. 19:00 Break - Stargate Atlantis on TV. 20:00 Stargate & dinner done. maybe a flying bird & some fish. Added flying bird with no player interaction. Added a dragon fly for eyecandy. Made path for dragon fly. Made a shadow for dragon fly. Made a shadow for parrot. Tidied up tempory code, added some comments. Create a trail for enemy bullet. Create a trail for player bullet. Set up various collision event code. 21:00 Taking a break, watching a film. Think about more things I can add. 21:30 Changed mechanice for trail as wasn't happy with it. Forgot about film, still working away. things to do in each room, that unlock when previous completed. 23:30 Still working on leveling system. 23:40 Got levelling system && menu set up OK.
Added some eye candy, jelly fish to level select. 23:50 Tidied up resources tree. 00:00 Did some more work on mini map. Planning to spend tomorrow on level design. then combine into one large section if happy. Three levels in all, starting easy and getting harder. 11:00 Starting on level design. Added objects for room border. 12:30 Playing around with objects, getting some challenges together. 13:30 Started designing first level. 17:20 PC crashed. Lost a few hours work. 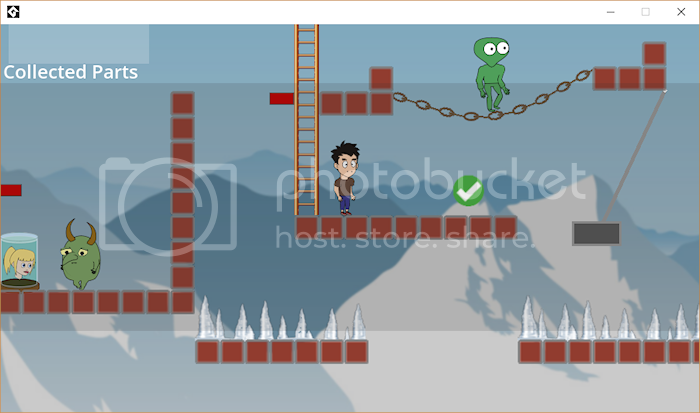 18:00 Added new level elements, updating level design. 21:15 Adding new level element, whirlpool. Updated level select screen with some eyecandy effects. 22:30 Done some more level design. Think up 2 additional level elements. 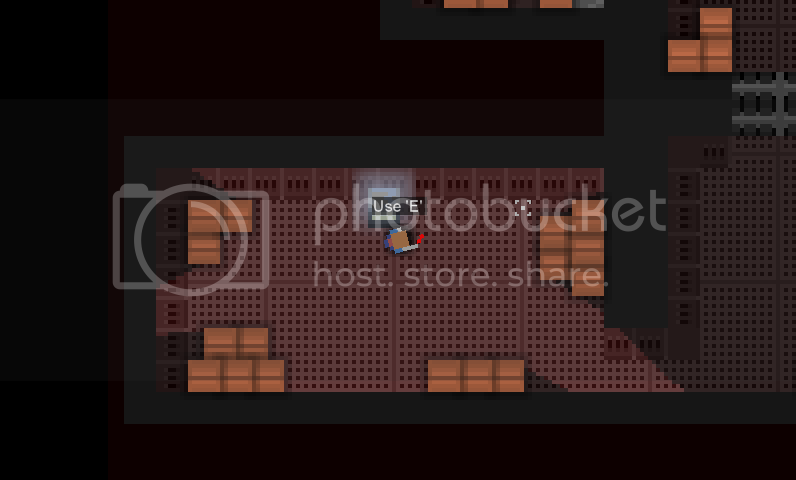 13:00 Added new level element, a mine. 13:30 Tidying up level design. 14:30 Adding some more eyecandy. 15:30 Time for another break! 17:00 Done what I can, have other things to do. FunkyB, Alice and The M like this. 'Trapped' in a small floating underground city you discover you and all of the inhabitants have been lied to since birth, everyone thought the extent of reality ended at the city limits, but one day while exploring the upper caves you stumble upon an artifact that obviously came from somewhere outside of the realm you know! You decide to make the voyage to discover what lies beyond! I chose - Forbidden Frontier! This was a long day but Forbidden Frontier is now completed! and you win the game! Explore various islands across the ocean on your Voyage to the Final Lands, a legendary place at the edge of the Earth, that only the bravest and smartest adventurers can find. Find weapons to fight dangerous monsters, solve puzzles and see if you can make it all the way, and earn yourself a spot among legends. This game features varied weapons, a boatload of treasure, optional hidden items, and one giant boss to kill in order to win. Voyage to the Final Lands was inspired by "The Voyage of the Dawn Treader" by C.S. Lewis and the original Legend of Zelda. Stories that allow exploration and imagination. The gameplay is very similar to the original Legend of Zelda, and many other Zelda games. Hopefully we can provide a fulfilling adventurous experience. Have fun! 6:20 am: Woke up and found the theme and reserved this slot for our game. 8:05 am: Added a message system and triggers for showing messages. Also added basic collision checking. 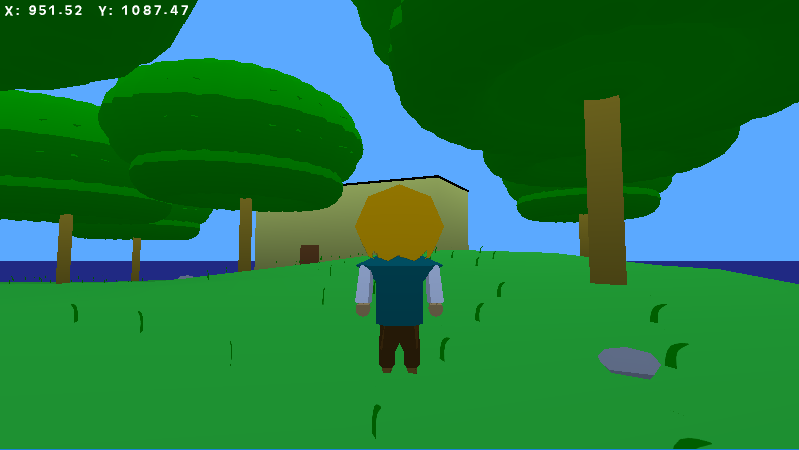 8:40 am: Added NPCs you can talk to. Finished with the port for now. Starting to work on this first island. 9:30 am: Added the sword and bushes you can chop down. Finished most of the layout of the first island. 10:45 am: Added enemies. (Grass spirits). They just move around now though. 11:55 am: Added heart drops to recover health. 1:15 pm: Fixed issue with message boxes. Starting working on cliffs. They are being really annoying. 1:45 pm: Fixed the walls. Also fixed the same issue in my main project. Yay! 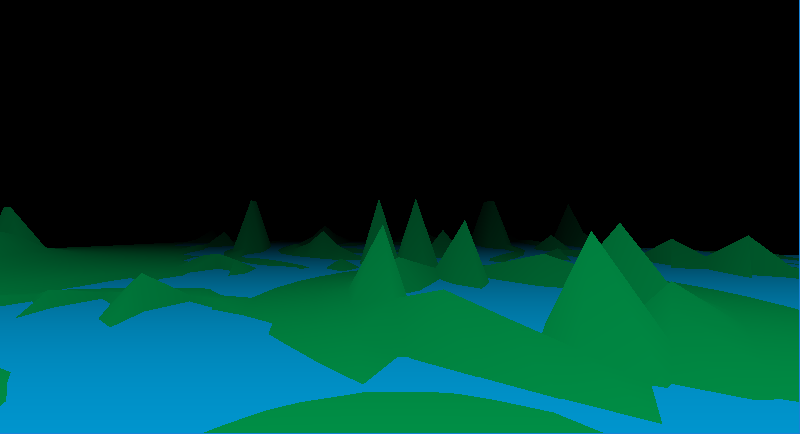 3:25 pm: Uploaded a rough early version with the first two islands. Going to start working on the third island. 7:40 pm: Added switches that open doors. Added pots that drop hearts and treasure. Almost done with the third level. (Which is very long). 8:00 pm: Started trying to add the bow. It's being annoying. 9:10 pm: Almost finished third level. 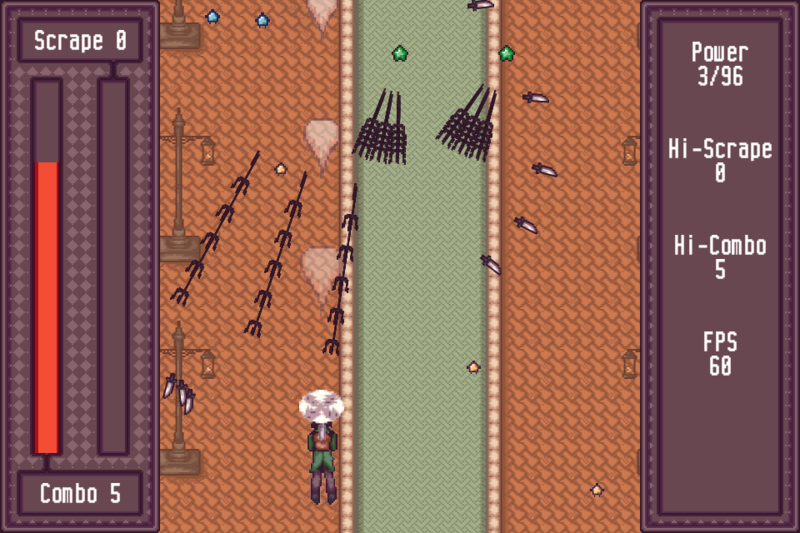 Added a mini-boss fight. There's a few polish details I need to finish, but I'll do that tomorrow. Going to bed now. 6:30 am: Woke up. Windows made me update Skype first. 8:00 am: Began building the 4th island. 9:30 am: Added NPCs that can sell stuff. We've got to make use of all that treasure! 10:00 am: Added ROCK MONSTERS. 11:15 am: Finished walling level 4. Started programming a bridge. Leaving for lunch and something else for a few hours. 6:20 pm: Messages now need key presses to close, it was sometimes hard to read the whole thing. This took more code changes than you'd think. (30 min dinner). 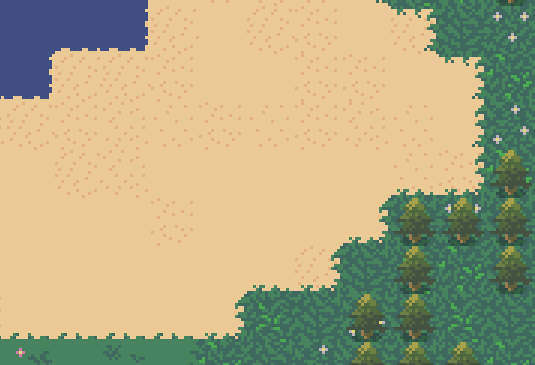 6:50 pm: Did a few of the sprites I can do on my own, including the cliffs. Started working on level 5, a mountain. This one will have another weapon and a boss I think. 7:45 pm: Finished the menu, and loading and saving. It went uneventful, thank goodness! 8:15 pm: Did a couple of the sounds. Joseph is planning to do most of them, but I have extra time according to the schedule. Spent 15 minutes planning what needs to be finished up tomorrow. 6:20 am: Woke up and gathered my resources. Continued working on level 5. Adjusted the rock monster stats. 8:15 am: Finished almost everything for level 5. I will definitely have time for another level or maybe two by the end of the day. I still need to fluff it up a bit and test the level once or twice. 8:30 pm: Almost 12 hours later. I worked a lot of that time, but I didn't update. I finished level 5, including the boss and third item. Added the Final Lands themselves. No 6th level though. Gameplay is finished, I need to write music now. All sounds are implemented, and almost all the art is complete. We also need to play test. 9:10 pm: Gameplay is now totally finished and tested once. I've started writing the music. 11:20 pm: Okay, I ended up using pre-made music by Kevic MacLeod. Implemented the rest of the sprites. Programmed the music to change at each level. I spent 15 hours total already. We've got the first 3 levels, plus the starting location. We have a mini-boss, two weapons, a bunch of optional treasure, and a creepy tomb to explore. My goals for tomorrow is to make at least 3 more islands (probably more), and probably have a third weapon. I also need to work out saving and health capacity between rooms. I spent another 7.5 hours today. I finished level 4, 5 and started on 6. 6 will probably be the last one, but I may add a 7th in before it if I have time tomorrow. What remains is the sounds (which are being worked on by Joe), music, level 6 (and maybe 7), the final destination, and the rest of the art. The final level will have a third weapon and a boss fight, I hope. Then there is time for any bug testing and polishing I have time to do. I want to go through and double check all the text boxes to make sure there aren't typos. Chrisblue (CC BY-SA 3.0) Modified by us. "Galway", "Doobly Doo", "Interloper", "Frozen Star", and "Full On"
Alice, aamatniekss, Vonnbit and 4 others like this. Use WASD to move the camera, left and right key to turn the camera. The mouse to select planets and escape to get rid of pop ups. In every turn you can choose to travel to a star or to gather resources from the one you're at, but every time you let a turn go by the infection spreads. The infection spreads faster and faster so you should upgrade your ship aswell. Used music is from the project contingency soundtrack which is inspired by the Halo franchise. Credits go to Fernando Pepe, the Contingency team, Microsoft Studios and 343 Industries. Gameplay overhaul, scrapping the idea to walk on surfaces. SCREACH! WHY DOES POLISHING TAKE THIS LONG? THERE IS SO LITTLE TIME LESS AND I REALLY NEED TO SLEEEEEEEEEEEEEEEEEEEEEEEEEEEEEEP!!!!!!!!!!!!!!!!!!!!!!!!!!!!! Alice, Vonnbit, squarebit and 1 other person like this. FunkyB, Alice, Rivo and 1 other person like this. 3:09, Central Time: Game is coming along well. 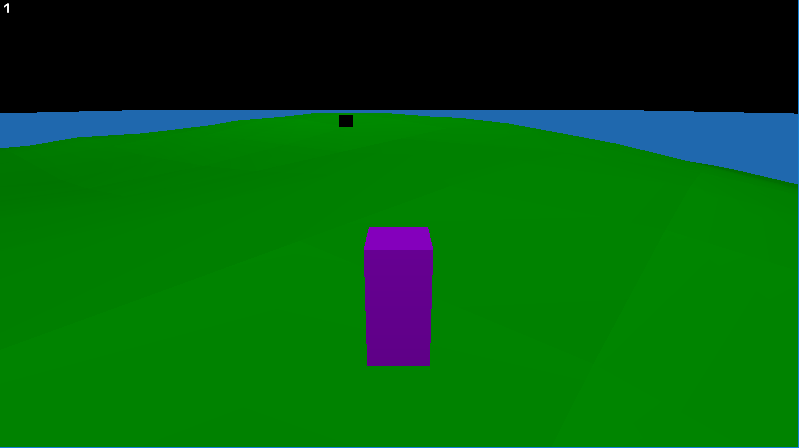 Movement has been implemented, along with basic mechanics like respawning and transitions. Currently working on expanding Level One. FunkyB, Alice, Rivo and 8 others like this. I dont have alot of time to participate but I really, really, really wanna join so here I am. I have decided to spend the first day just planning and wont start making the game till tomorrow. 2:10 pm (est) - have design idea's, simple plot, and a TITLE! DEFECTOR. 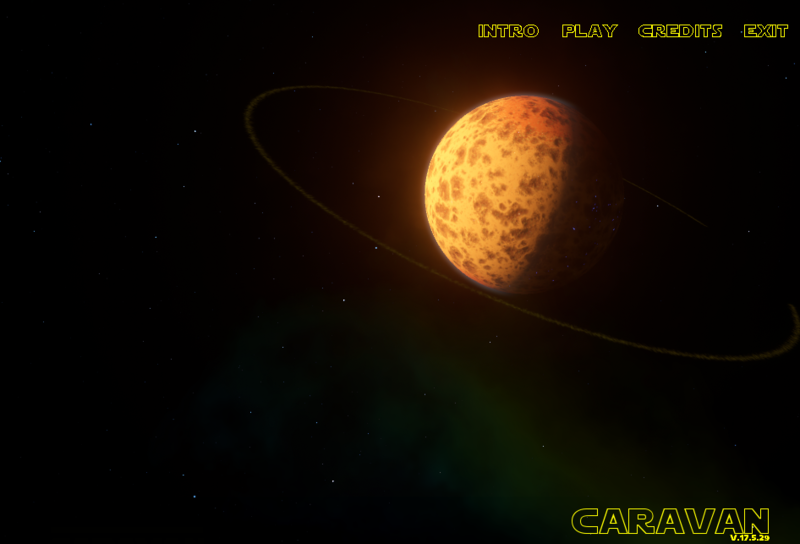 1:49 am (est) - created player ship object and object to make scrolling background stars. 11:43 pm est - forgot to update before work, added first enemy ship, and the ability to FIRE DA LAZORS! for both ships. 1:15 am est - started work on 2 more enemy ships and a rough sketch of the boss ship. the only current problem is that the new ships look way better than the player ship... will have a new screen shot later once I have fully unleashed the other ships upon the player! 12:18 pm est - title screen started, just have to make it function, then clean it up later. gotta get some lunch then back to work! 5:53 pm est - title screen works and have the first stage done, working sheild system, the more damaged the shield the more damage you take. Have the game over message and gradually increasing spawn rates for enemies. Stages last for 3 minutes. 9:24 pm est - created scrap object that drops on enemy death. the scrap gets collected automatically and gets converted into heath between stages. Little worried I wont be able to make a boss stage before I quit... but game is challenging without it right now! current estimated play time 9 minutes. 12:30 am est - this is where I'm calling it, it's not as pretty as I would like it (not by a long shot! ), but it plays decently and it's challenging. I have 3 stages and a boss fight. the whole game should take no more than 15 minutes to complete a single run. Alice and Vonnbit like this. Heavily randomized game about discovering stuff. It's 2017, but you still believe there are more continents to discover! You make a shoddy raft and set sail towards the horizon, hoping to become famous as the discoverer of the eighth continent! Jump and surf your way through an ever-increasing caribbean gauntlet of sharks, turtles, shoals and mysteriously aloft cannonballs while snagging what pirate treasure you can right off their buoys! Can you find a new continent or will you end up in Davy Jones' locker? Saves your high scores! Challenge your personal best! Suspenseful water-and-sail gameplay where you need to memorize obstacles you can't see! Jump to avoid obstacles, but be careful not to avoid treasure! Realtime-rendered and realtime-updated water surface! Randomized obstacles! A different experience every time! Except I think I forgot to call randomize() so it's probably the same obstacles every time! Rechargeable health lets you play forever! -Came up with a cool name. 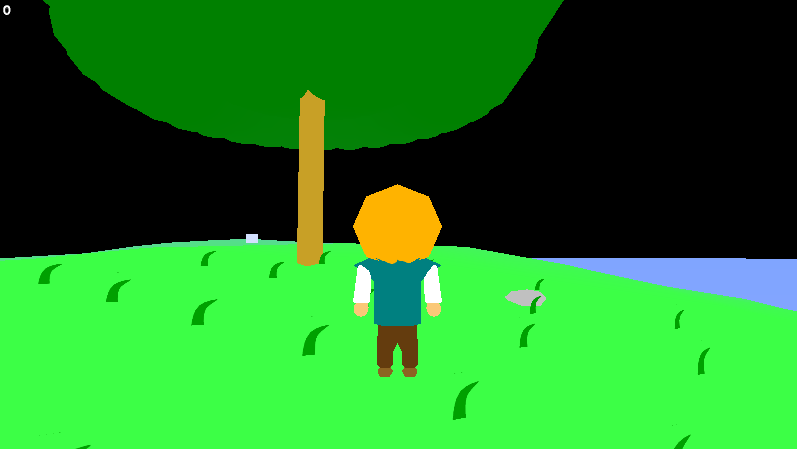 -I promised Dadio I wouldn't make a platformer this time so I'll have this be sideview without platform elements. Let's see how this goes. -Made some more graphics and set up some random autotiling. -Added an item management system. Not sure how to actually USE the items yet. 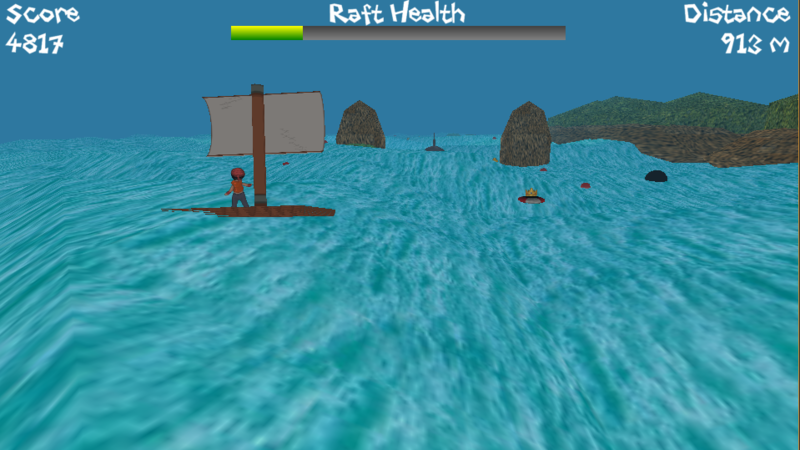 -Scrapped original project and whipped up a 3D watervoyaging simulator. Still not sure what gameplay to put in it. -Figured it out during a dogwalk. -Passed out from the heat and was unconscious for a few hours. -Managed to work on the game for like 8 hours straight. Now it's complete! Or, well, it's sorta playable and I'm sick of it. Blackened, HayManMarc, Alice and 2 others like this. Someone tipped you off to the whereabouts of the legendary Aegis, hidden and lost from the world for decades. Now, you must battle your way through the dangerous waters on your Voyage for the Lost Aegis! The game plays as a turn-based puzzle game. Each unit on the map takes a turn in a round (some move faster than others). Your goal is to reach the end of each level without the enemy units touching your ship (sinking it). There are 14 levels in all. Good luck! Best of luck to everyone! I had a blast making this and look forward to playing all of your entries!! Alice, Vonnbit and The M like this. 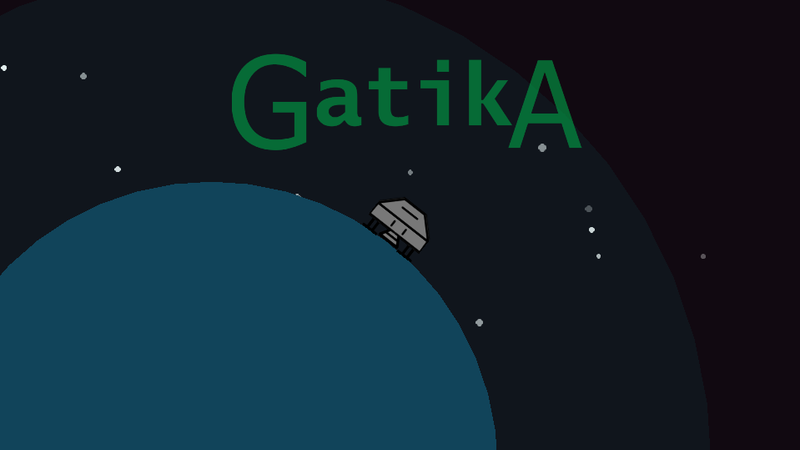 An epic space battle game that is about taking over the galaxy! Alice, The M and Vonnbit like this. Screenshots are unimportant. Here is a mysterious image, instead. to GameJolt but they take a million years to publish. It's a game I made. This is my first game jam so I'm not expecting much to come from it. Thanks for playing. FunkyB, Alice and Vonnbit like this. Detective Pixel, Alice, Rivo and 5 others like this. I unfortunately only have had around 6 hours to work on it. Maybe I'll expand it later. Again, nice THEME for a jam. Wake up Sunday morning with an idea of digging to the core of the earth. Arcade, fast play and certain death. 12:00 to 14h00 Coding and done. Will add some ittle thing at the end of the day. FunkyB, Alice, Vonnbit and 1 other person like this. 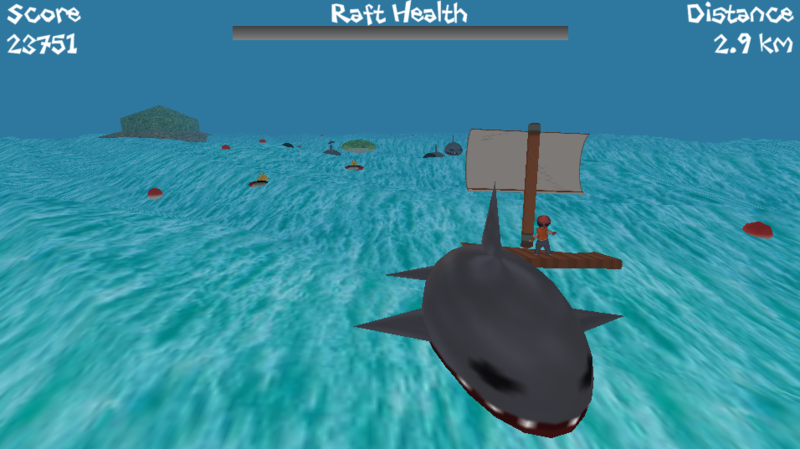 A game about travelling as far as you can on a fragile raft. Detective Pixel, Alice, Kepons and 5 others like this. Time left: 6:21 - Decided to try and crank out another game. Made a really cool logo for it too! Working on creating the menu sprites and such first. Time left: 5:42 - Got the math worked out. It's going to be a 495 hour long game! Time left: 4:11 - Had a ton of trouble getting movement to actually work without the player flying off the screen. Got it working finally. This time crunch is frightening! Time left: 3:42 - Got movement sorted out. I'm just an idiot and don't know the difference between "if" and "else if". 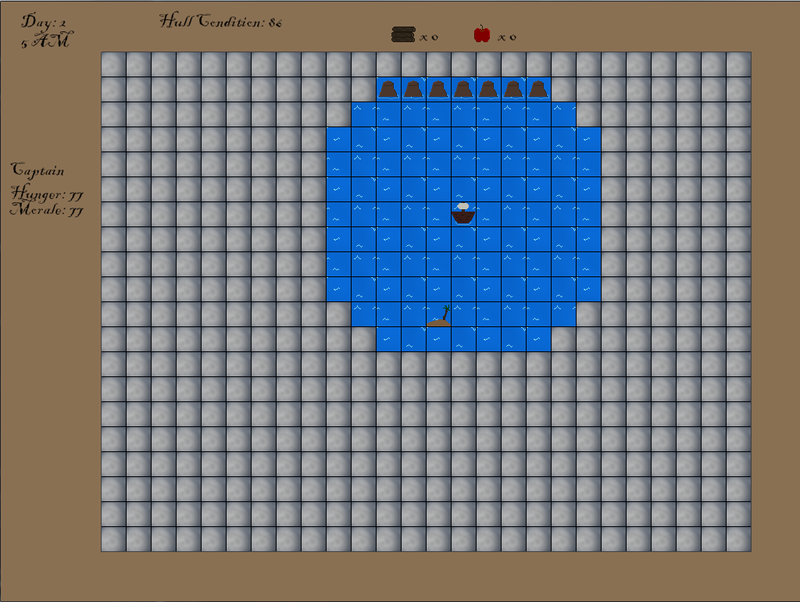 Working on the spawner for obstacles now. Time left: 2:57 - Got the spawners working. Had a similar issue with "if" and "else if" but I got it sorted. Also got a basic distance tracker worked up. Now I need to work on difficulty scaling. Time left: 2:28 - Got some difficulty scaling working. Should be fairly simple to code it for further difficulty later. Now I need to work on the game over screen and high scores. Time left: 1:46 - Got the high scores and game over working. Having trouble getting it to draw where I want it though! Time left 1:25 - Fixed the drawing issue I was having. Should function just fine now. Was considering adding online high scores but I don't think that is something I could accomplish in an hour and a half since I've never done anything like that before. Gonna work on adding more difficulty scaling instead. Time left 0:50 - Also added a winning screen which would require the player to play the game for around 21 days straight to get to. Wrapping up the game now to export it. Gonna be a close one. Time left 0:33 - **** **** ****! Having a weird issue where the window isn't scaling properly when it's exported! Time left 0:28 - Got that straightened out. Game is uploaded and linked. I'm done! Stuff happened and took out dev time, so this game is far from finished. But I figured I might as well submit it anyway for people to take a look at and play around with. T minus 02:47:33 - Got a basic concept & some graphics done. This is truly a race against the clock. T minus 03:26:58 - Only just realised this was on. Starting an entry with 3 and a half hours to go. Wish me luck. Alice, Vonnbit, FunkyB and 4 others like this. Apparently I should have dusted off my GM:S copy prior to Friday, since my skills are rusty. It's not even a game more-so than just some island generation. What few controls there are reside within the readme file. But I still like the idea I had in my head while working on this, so it'll probably be ported to C# and continued there ... some year. Anyway, the source is included in the zip if you want to look at it. Note: The island generation code isn't exactly efficient, so it might take a while to do so. Alice, Vonnbit, FunkyB and 2 others like this. Vonnbit and Alice like this. Ricardo's looking for adventure on the high seas - only he doesn't have a boat of his own to travel with. Through the use of other boats on the ocean and a fundamental misunderstanding of the term "rocketship", Ricardo sets out on an explosive and daring adventure. Vonnbit, Alice, FunkyB and 2 others like this. Go through enemy blockades to get back to your planet! Blackened, Vonnbit, Alice and 2 others like this. Vonnbit, Alice, FunkyB and 1 other person like this. Aviox, Vonnbit, Alice and 5 others like this. The plan? Sail to the next town. And what about then? Do it again. FunkyB and Alice like this. FunkyB, Vonnbit, Alice and 1 other person like this. 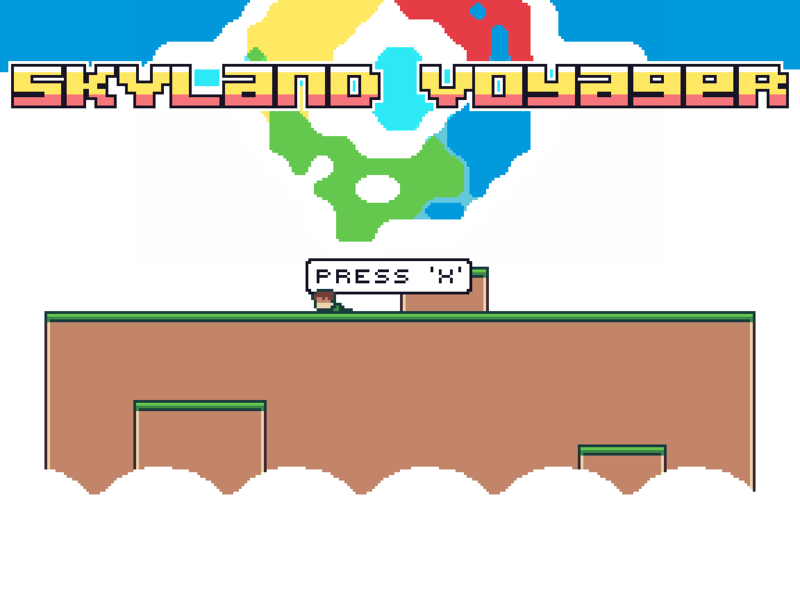 You're a voyager in the world of Skyland. Your character is wrapped in mystery. Also, the game is pointless and brutal. You can't win, but you can die by the hand of disturbing dark elemental matter. Uhh, so the moral of the story is that an airship voyage in this fantasy world is dangerous and quite stupid. Aside from getting to run wild in puffy white clouds. The game was intended to be more, obviously. But it's still kinda cool I guess, just a bit pointless. Vonnbit, Alice and The M like this. Hold space to hug, release on green for best hug. Press shift to toggle crew members to work. Keep your crew happy by hugging them. Put them to work to repair the ship, but working makes them sad quicker. Cat and var would like to present Space Taxi, a game about driving a taxi in space. Oyakiiv and Alice like this. EDIT: Thumbnail. Looks terrible but I only have one hour and I'm fed up with this thing by now. Mocgames998, FunkyB, The M and 2 others like this.